Today we have the cutest stocking pillow to for you to make as a gift this season, but I am betting you will need to make on for yourself too. 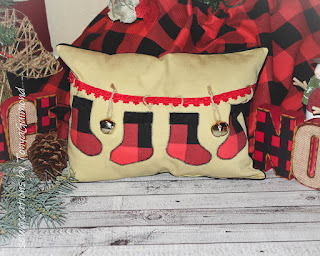 This 12" x 16" pillow is a fun project to customize for your loved ones with 4 stockings hung with care. Our testers showcased some beautiful options using different trims and fabrics below! The lace edging and monogrammed stockings are a sweet touch on the pillow above! This version with the bells tied on with twine gives it a rustic feel, while still being a cozy pillow. You cannot go wrong with buffalo plaid! 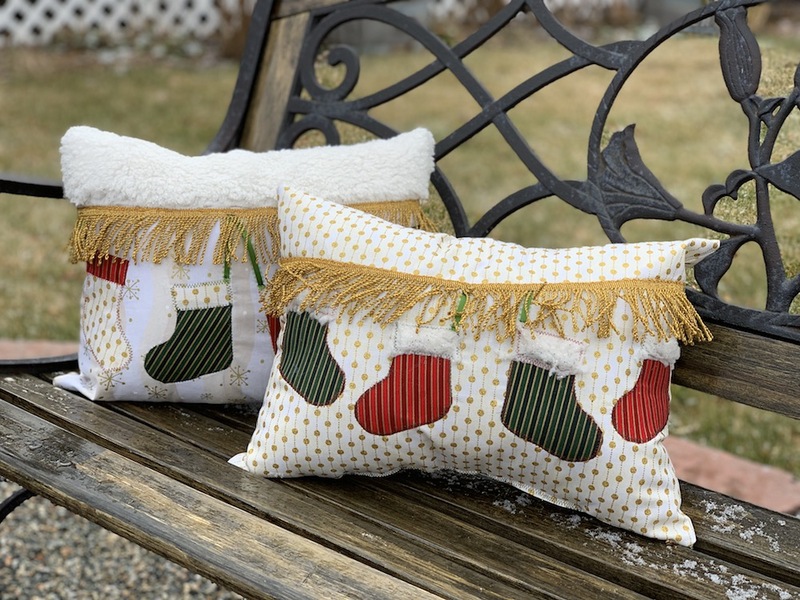 And these pillows might be my personal favorite! 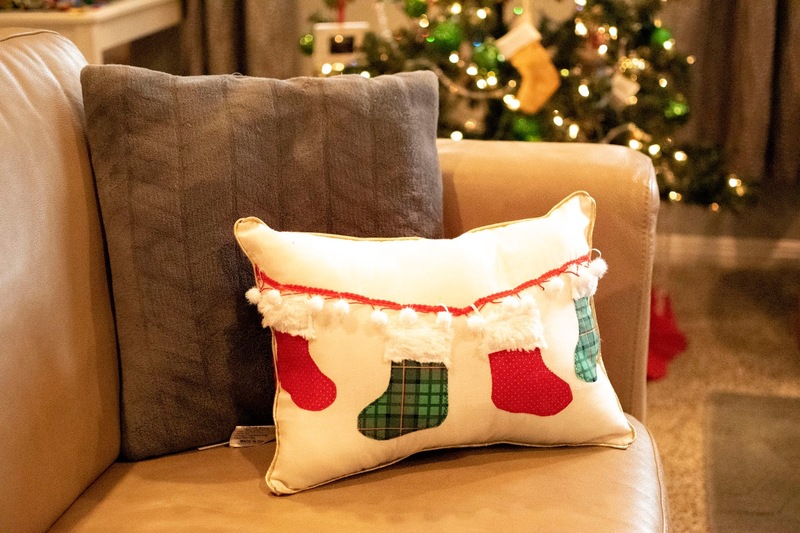 The gold trim is so festive and the sherpa fabric used on the top trim of the stockings and pillow make this one my family would adore. Speaking of adore, you can download this FREE pattern by clicking here. Thank you so much to Melissa for this beautiful addition to our 12 Days of Christmas celebration at CKC Patterns! Keep coming back for new patterns and projects each day! 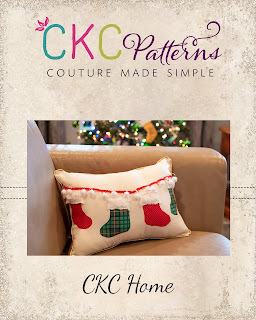 We love to see your creations, so please come hang out with us in our Facebook Group or on Instagram @CKCPatterns. These would be just as cute with socks that matched a kids/baby’s room too! How fun! Oh they are so cute! In January I will have to start on them so I can give some as gifts next year. Oh I need a few comfortable pillows thanks. So cute! This is being added to my Christmas sewing list! Adorable!! We are making this one! Thank you!!! So cute!!! And the perfect number of stockings ! Oh my gosh what a cute idea! 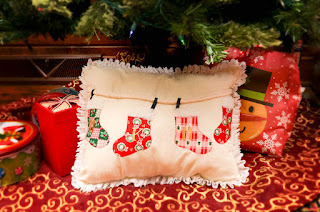 You could make a stocking for each person in my family! Love this! Hi! You're the winner for 12 FREE Patterns today for our 12 days of Christmas celebration! Can you send me a message on facebook or email emlyckcdesigner@gmail.com so I can contact you for your prize? How adorable! My mom would love this! These are so cute! So glad they’re easy to make, too!